I have heard a lot of good reviews about Va Bene. Because I am a huge truffle pasta fan, I made sure to try it out. Surprisingly, they have a newly opened branch in the Third Floor, Central Cinemas, Bonifacio High Street. 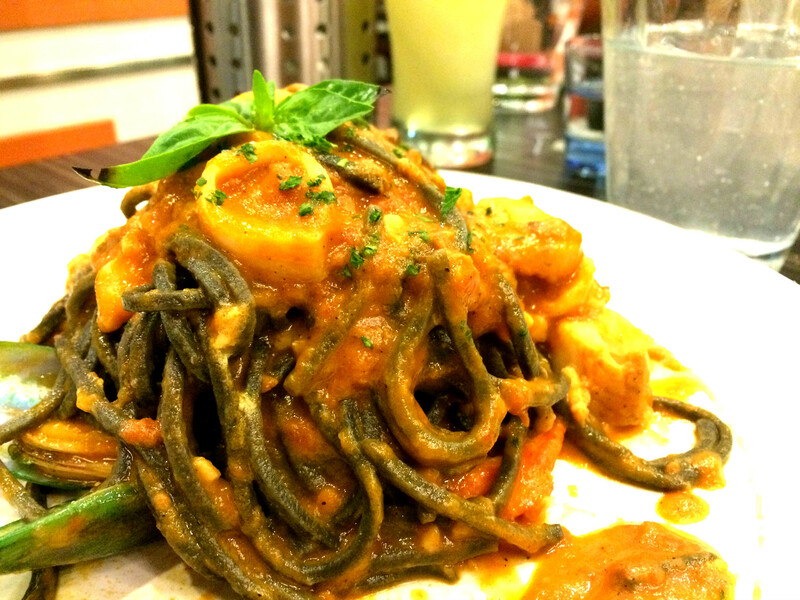 It’s my first time to eat black ink pasta with marinara sauce. I liked it because the sauce went well with the pasta. The sauce had a balance of sweetness and sourness. The seafood that came with was also fresh and wasn’t overcooked. I was too full to eat a lot of this dish but I recommend it for those who prefer tomato based pasta over cream based pasta. 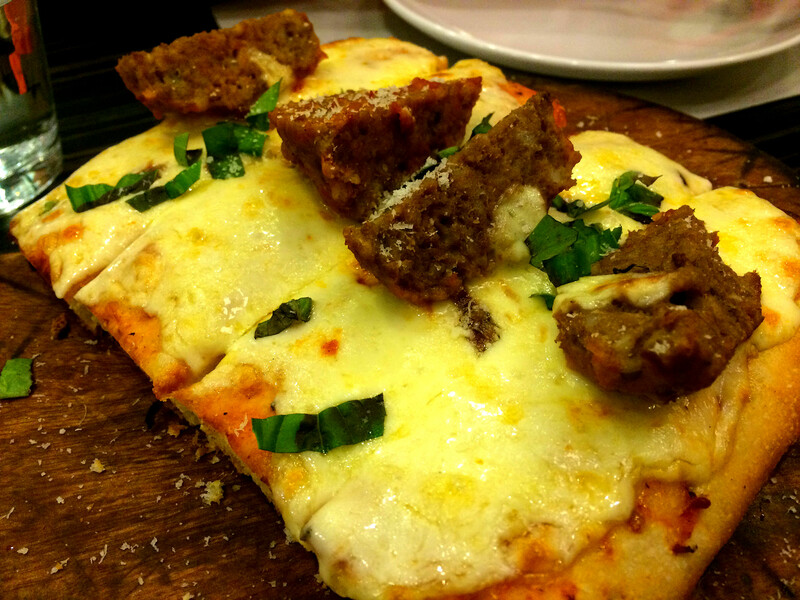 My friend ordered pizza which had meatballs, anchovies, fresh basil, and mozzarella cheese. The pizza was square and it had a thick crust. I wasn’t able to taste it but according to my friend the serving was too small and it was too expensive for the size. It wasn’t really extraordinary. I love arugula!!! You can never go wrong with it. It has this bitter taste which can be perfectly paired with vinaigrette. 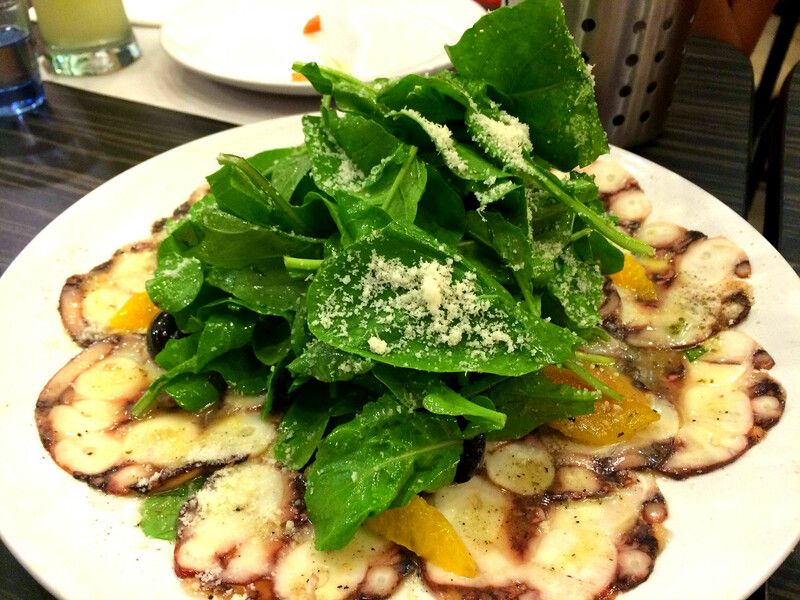 It was also my first time to try octopus and I surprisingly liked it because it was so fresh and soft. 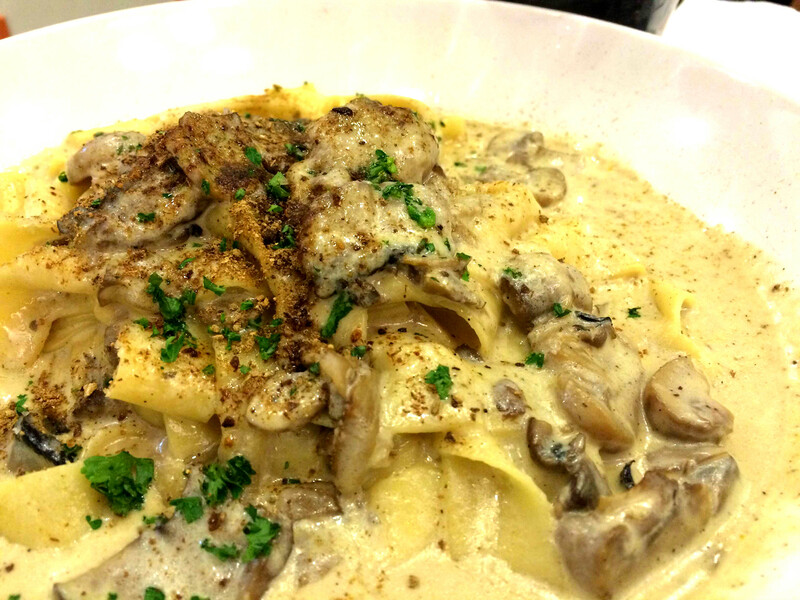 ORGANIC EGGS TAGLIATELLE-White wine cream sauce, Portobello mushrooms and truffle oil. This was really yummy because the pasta was freshly made. There was also a generous amount of sauce and you could really taste the truffle. I usually don’t like a lot of sauce in my pasta but for some reason, I enjoyed the dish so much. I didn’t get tired of the taste at all.